The breakthrough moment for Rondo Daszyński was, of course, the opening of the new metro line underground station. No wonder that the heart of Wola is becoming a new business centre of Warsaw. In the area limited by Karolkowa, Jana Pawła II Avenue, Solidarności and Koszykowa Avenues there is already over 0.5 million square meters of office space! It surpasses the office market in such Polish cities as Poznań or Łódź! And the forecasts for the development of this part of the city are very favorable and assume that at this rate of development in 2023 the supply of office space will exceed 1 million sq.m! Currently, over 600,000 sq.m is already at the planning stage! What is the reason for the business success of Rondo Daszyńskiego? Undoubtedly, the most important factor is communication comfort. Metro, trams, buses – there is no problem with access. Another important aspect influencing the attractiveness of this area is the proximity of the city centre and residential area. This increases the interest in office buildings located in the vicinity of Rondo Daszyńskiego as compared to those standing on the “Mordor”. Moreover, the idea of developing space around the new business centre of Warsaw does not focus only on building new skyscrapers. There is a clear emphasis on creating places friendly to the residents after work – numerous cafes and restaurants, which in the evening are teeming with life and not with emptiness. Developers such as Ghelamco, Skanska-Property Poland and Hines account for half of the supply of the business zone around the Daszyński Roundabout. The completed investments include: Ghelamco, Skanska-Property Poland and Hines: Proximo, Wola Center, WarsawSpire, Warsaw Trade Tower, Green Corner, City Gate. 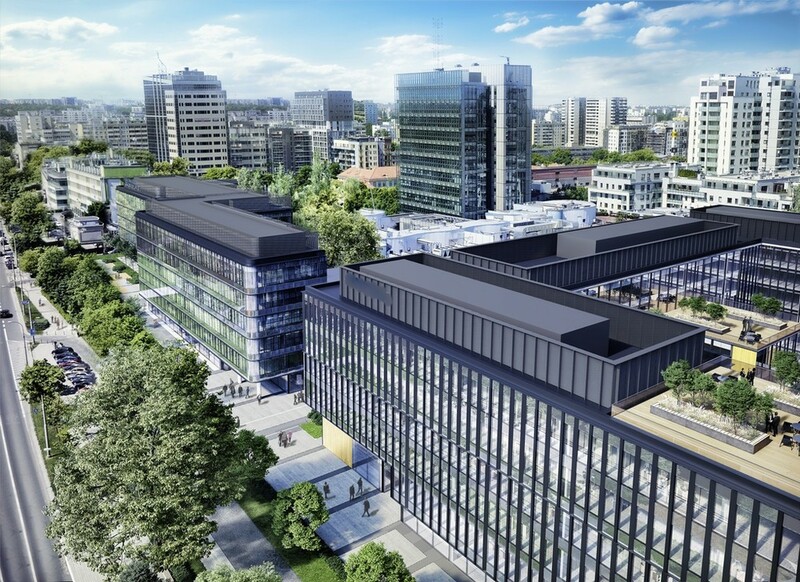 – Generation Park (180 m, planned offtake: 2021)-84 thousand sq.m of usable area; the building is certified on the LEED Platinum level (for ecological buildings at the stage of planning, construction, maintenance and use). – The Warsaw Hub (130 m, planned collection: 2020) – over 113,000 usable area; 31 overground storeys and 4 underground; the complex is to consist of 3 buildings built in stages; the building will be connected to the underground station through an underground passage; architectural design by AMC-Andrzej M. Chołdzyński; as many as 1000 parking spaces are planned. – Warsaw Unit (202 m, planned collection: 2021) – it also operates under the name “Spinnaker”; 57,000,000 sqm of office space; on the top floor there is to be a public restaurant with a view of the panorama of Warsaw. – Skyliner (195 m, planned collection: 2020) – usable area is as much as 72,000 sqm, half of which is designated for offices; the complex is to be built in stages; a panoramic lift will run on the top floors of the building. 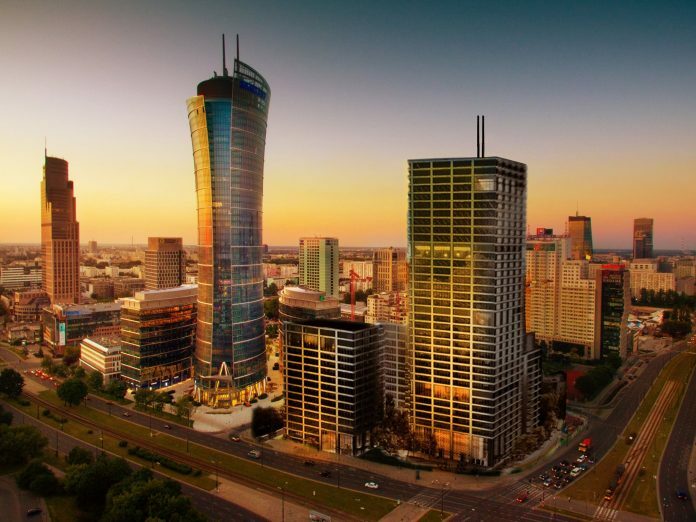 They will enrich the “skyline” of Warsaw’s business Wola. There will certainly be no problem with renting office space due to the extremely high attractiveness of the Daszyński Roundabout area. 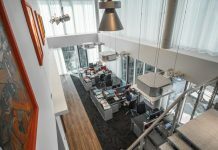 The success of Warsaw’s new business centre can be proved by the fact that WarsawSpire did not have the slightest problems with leasing its office space. Lixa complex is a great example of modern architecture – combination business spaces with living areas. Complex of four low office buildings with a total usable area of approx. 65,000 sqm. It will be a unique investment in the area of Rondo Daszyńskiego dominated by skyscrapers. The investor perceives this complex more as a “university town” than another office building. Inside, there will be a green courtyard, around which pubs and restaurants will be built – this fits in with the vision of a modern business centre of Wola, which is supposed to be vibrant with life! The construction of the complex was preceded by the demolition of the old building of Kredyt Bank, and work on the new building started already at the beginning of 2019! Completion of the construction is planned for 2022. The entire investment has a BREEAM certificate with Excellent grade. This is an interesting and innovative approach to office space in the city centre. Certainly, the investment will also become a cherry on the cake of business attractiveness of Wola. Previous articleAre the vaccines safe? Next articleSEO trends in 2019 – how to understand Uncle Google? 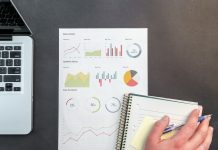 SEO trends in 2019 – how to understand Uncle Google? Start-ups create trends in the office space design – how do the offices of dynamic teams look like?